Ashtanga Yoga Asheville – The Mysore Room is a space, time, and supportive community to cultivate self-practice in the Ashtanga tradition with the guidance of experienced teachers. At Ashtanga Yoga Asheville, practitioners of ALL levels are welcome. We welcome visiting Ashtangis with an established Mysore practice! Pre-registration for class is required! Purchase your classes from our online system BEFORE you arrive for class. Drop-in classes are $15. Contact us to let us know that you’d like to join us for class. Primary Fridays – On Fridays, please practice only primary series. Traditional counted led primary is held on the last Friday of each month starting at 7 AM. Those that attend Mysore-style classes are welcome to attend the led class on Friday. 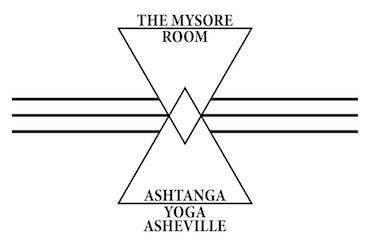 Check the The Mysore Room – Ashtanga Yoga Asheville Facebook page for schedule updates. How to pay for class: Pre-registration is required. Purchase a class or class package and sign up for class BEFORE you arrive at the studio for practice!